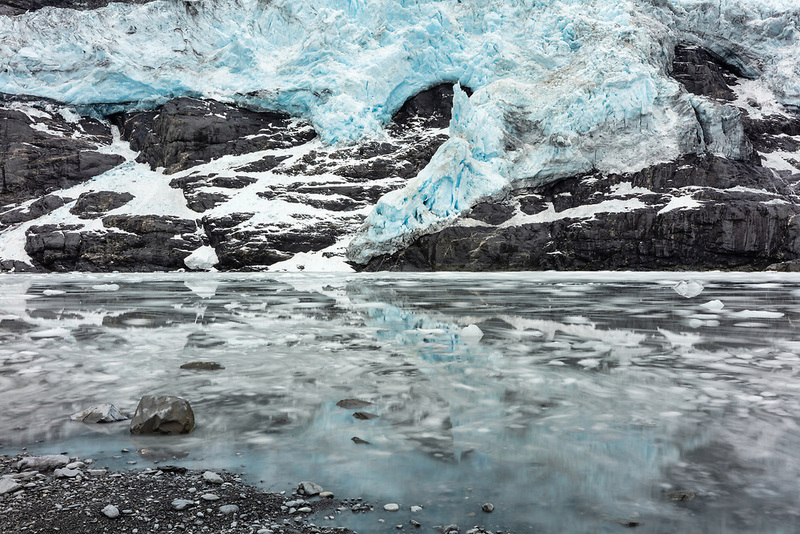 Long exposure of rising tide at base of Cascade Glacier in Harriman Fjord in Southcentral Alaska. Summer. Morning.